To be more specific, I did not order this piece of jewelry from their website. I am blessed enough to live in the great city known as New York, so I had the opportunity to visit their store. I must say that Andromeda is probably the BEST place that I have purchased jewelry from. The jewelry was not only decently priced; it was some of the most beautiful jewelry that i have seen. Both pieces were correct to size and were flawless. No burrs, scratches, dents or what have you. The mirror finish still mesmorizes me to this day. 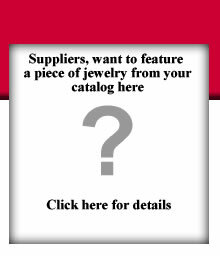 When in the market for any type of body jewelry, you owe it to yourself to at least visit their store or website.